The following blog is a potted history of a significant and historic race circuit. 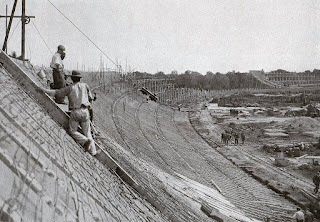 Following the construction of permanent oval speed-circuits at Brooklands and Indianapolis, in 1924 work commenced on a purpose built French circuit. The industrialist Alexandre Lamblin purchased a considerable area of land on the Saint-Eutrope plateau, some 15miles south of Paris. He employed an Engineer Raymond Jamin to design the track, which consisted of a banked oval ‘piste de vitesse’ and an ‘L’ shaped road course that ran out in to the countryside to the west. There were eight possible circuit configurations, the longest being 7.7 miles in length. 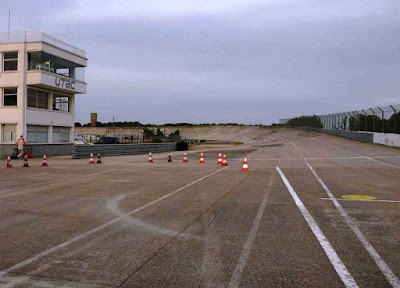 The piste de vitesse consisted of two equal radii bends, coupled by two short straight sections of 200 yards in length. Two thousand workers were involved in the construction, which unusually for the time used many pre-cast concrete sections. These were supported upon a huge framework of steel-reinforced concrete columns to give the banked curves their desired concave profile. From start to finish the work was completed in six months and the first race meeting was held in the August of that year. 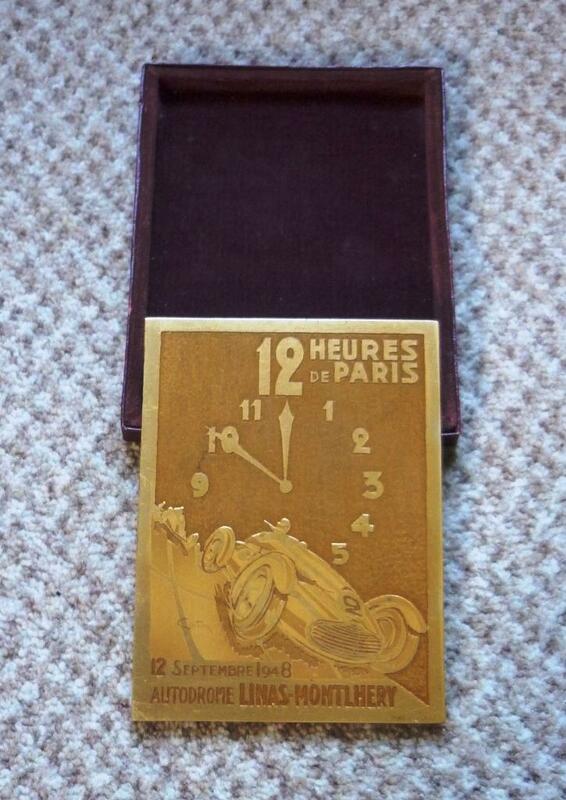 The road course was completed the following year and the French Grand Prix held on the 26th July 1925. Throughout the 30’s it was France’s premier track and home of the French Grand Prix. Following years of German dominance in the GP class, the organisers decided to make a move to Sports Car racing in 1936. As a consequence in 1938 the French Grand Prix moved to Reims, never to return. The track and surrounding areas were taken over by the State during WW2 and since 1946 has been run by UTAC (Union Technique de l’Automobile du Motocycle et du Cycle). Throughout the 50s and 60s many prestigious Sports Car races were held at the circuit, including the Paris 1000km and 12 Heures de Paris. It was however the setting of records that attracted manufacturers, tuners and racers alike to the banked circuit in their droves. Thousands of speed records were set during at this time, both in cars and on motorcycles and many of them still stand to this day. 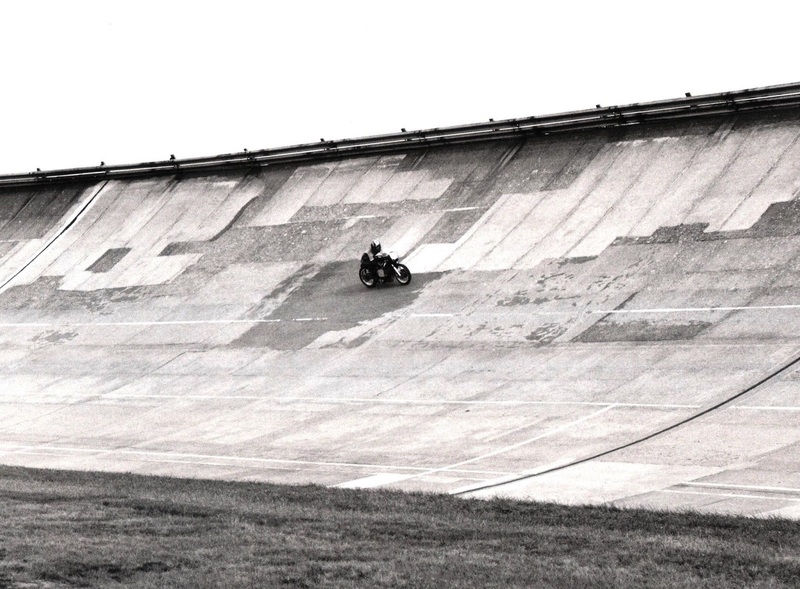 It was quite normal for the Norton and Velocette works teams to come here and break a few records at the end of a GP racing season. It was also used by virtually every motorcycle manufacturer in Europe to test and prove the performance of their machines. The same applied to cars, most major British manufacturers such as MG, Austin-Healey and Jaguar would attempt to set 1-24 hours endurance records on the banked oval. 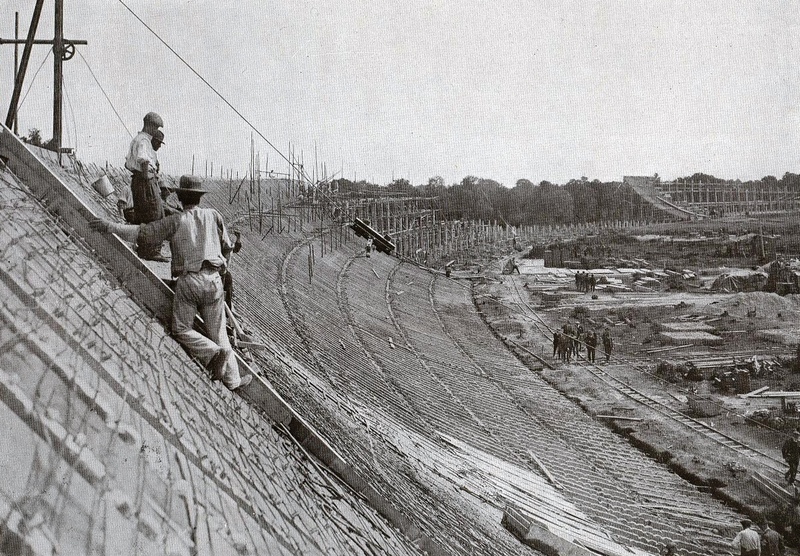 Brooklands had long since closed and Monza did not have a ‘speed-bowl’ until one was added to the existing road circuit in 1955, so there really was not that much of a choice when it came to a suitable circuit. The banking on the piste de vitesse is an incredible 33 degrees at the steepest point in the middle of the turn and Raymond Jamin calculated that a 1 ton car would be able to attain a speed of just under 140 mph on the perimeter of the track. Push more than this and you were over the top. Clearly with the speeds that were possible at this venue, when an accident did occur, the consequences were usually dire. In the very first French Grand Prix held at Montlhery in 1925, a tragic accident took the life of Antonio Ascari, at the time the world’s finest driver. To be fair the accident did not occur on the banked section of the track, but on the fast return to the oval. 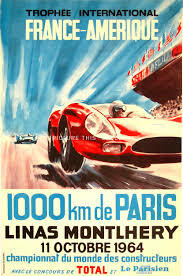 Sadly it was a tragedy in the 1964 Paris 1000km Sportscar race that effectively sealed the venue’s fate as a motor racing circuit and although racing continued until 1970, it was never the prestigious event it once was. 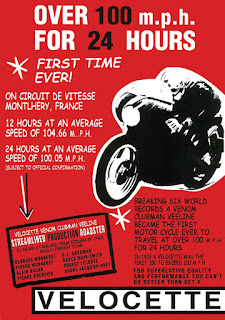 Motorcycling also had it’s fair share of prestigious events, the Bol d’Or being the most famous. 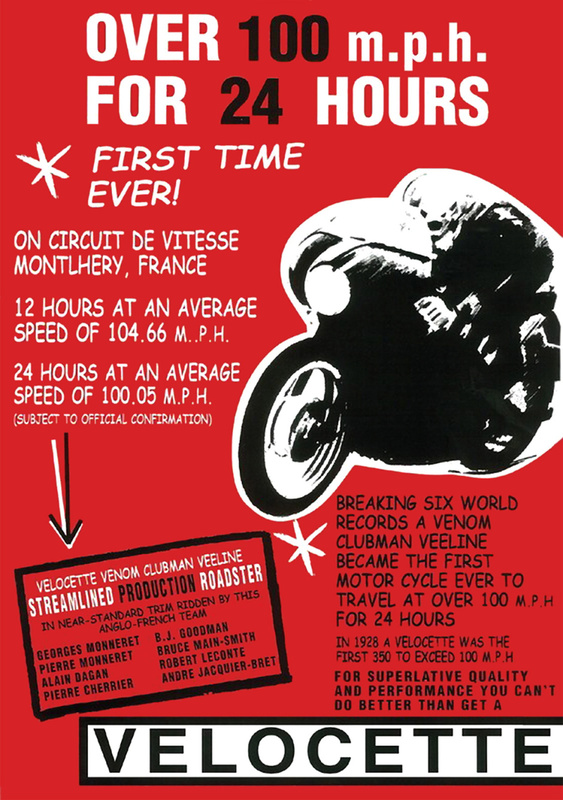 This was a 24 hour motorcycle endurance race and until 1970 was shared with Saint-Germain-en-Laye. Velocette won it 3 times in the 1930s and Norton a whopping 10 times from the 30s to the late 50s. Gustave Lefèvre won the event 7 times in the 1950s, until 1953 only one rider was allowed and he completed the full 24 hours on his Manx Norton. From the late 1960s Japanese bikes started to dominate the event, until Doug Hele’s Triumph 3s won in 1970, the last time it was run at Linas-Montlhery. 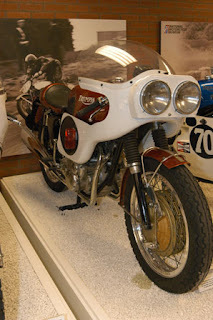 Incidentally Triumph also won in 1971, when the Bol d’Or moved to the Le Mans Bugatti circuit and were first home in the capable hands of works test rider Percy Tait and Ray Pickrell. From then onwards it has been purely a Japanese affair. 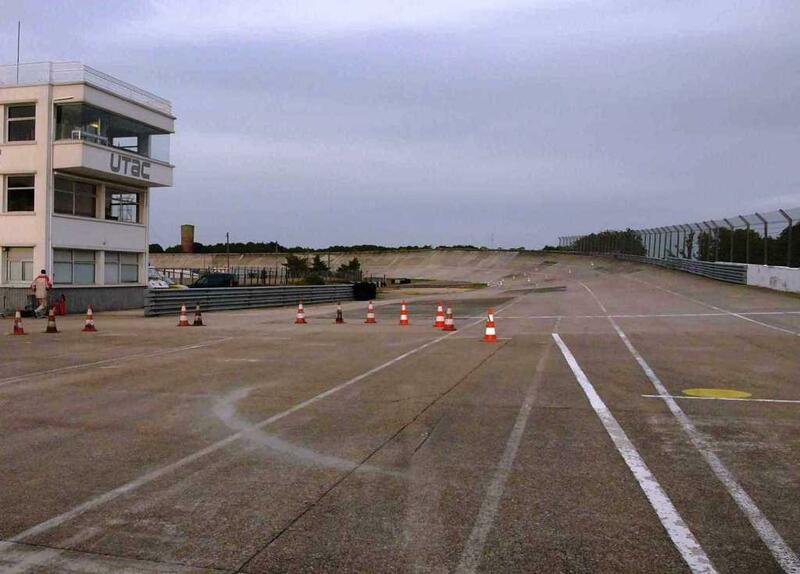 As to what happens to this wonderful track in the future, only time will tell. It is a great survivor and few could have imagined it would have lasted so long. But stand on the banking when all the engines have stopped and you realise you are on hallowed ground.